Food and water are a basic need in any community. This year’s drought has brought with it increased hardships, and securing water and food security has become critical to survival. The Thousand Herbs Vegetable Garden and Hananani Garden play a vital role in feeding more than 500 school children. 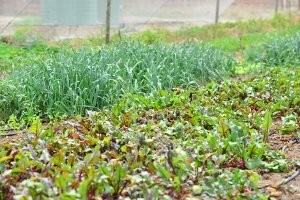 The produce from the gardens is supplied to the school feeding scheme on a daily basis. The ladies who maintain the gardens also feed their families with what is produced. The variety and nutrients this adds to daily meals is much needed and welcomed. The Thousand Herbs Garden is able to sell additional crops to both local lodges and community members and has been assisted with the development of their own nursery. The nursery opens in June 2016 and will directly supply the two gardens, helping it become self-sustainable as the gardens will no longer have to buy seedlings each month. The nursery project was supported by the Thornybush Collection and Investec. Water security is one of the area’s biggest challenges. In many cases water supply is unreliable and insufficient. As a result, local villagers are dependent on water delivered by truck, or need to carry water for long distances. 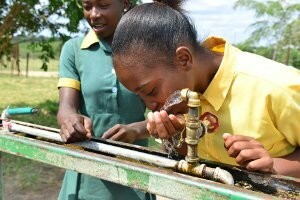 The Trust has contributed to the provision of boreholes, rain tanks and water reticulation in several schools and villages. One of these is Metsi village where the borehole donated to the high school supplies water to over 400 children every day. The water is also used for the vegetable garden which feeds the school children. In addition to vegetables, the garden grows trees with medicinal properties. These young trees are sold to community members to raise funds to support the school and garden. Conservation goes beyond the borders of the protected game reserve area and must include neighbouring communities. 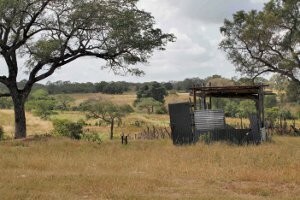 A fence-clearing initiative was implemented in the communities directly adjacent to the Sabi Sand Wildtuin. Eighty local people came forward to help with the project, which was completed in record time. In view of the high unemployment rate, the village leaders supported the inclusion of as many people as possible. The communities’ enthusiasm and dedication inspired the initiation by the Trust of the Sabi Sand Community Conservation Project, which will start in 2016. Eighty percent of local community members are directly dependent on the environment for their livelihoods. If left uncontrolled, erosion and alien plants progressively degrade community lands and jeopardise these livelihoods. Invasive alien plants are a major risk to both communities and the protected wildlife areas. Many are toxic if consumed, inhaled and even touched by people and animals. These plants are very strong competitors to indigenous flora which poses a huge risk as it may cause our natural species to become extinct. This year a major natural resource project across 11 villages surrounding the Sabi Sand Wildtuin, will be initiated to protect and improve the condition and sustainability of the land. The project will aim to rehabilitate degraded land and control and eradicate invasive alien plants. A team of conservation workers will be employed in each village, providing them with income, conservation training and skills. This will simultaneously deliver significant environmental and social benefits. Read more about these invasive alien species & erosion. The rhino is both a national and international asset. However, the number of rhino being poached per year has risen exponentially over the past five years. This escalation has brought with it a risk of job loss for local community members employed in the tourism sector. It has also introduced criminal elements that harbour themselves in these communities and use them as conduits to wildlife areas. While the Sabi Sand Wildtuin and conservation agencies as a whole, have done everything possible to protect the rhino; increased security needs to be coupled with an effort to win the hearts and minds of the local communities to support anti-poaching. Communication and strong relationships are key. 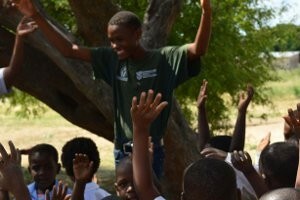 Eleven new jobs were created for rhino ambassadors in the local communities. 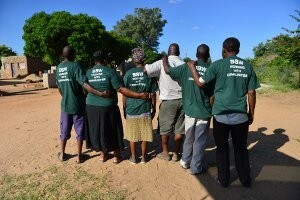 A rhino ambassador acts as an environmental champion for each community directly neighbouring the reserve. The ambassadors are trained in community facilitation, awareness and campaigning. This project is undertaken in partnership with the Kruger to Canyons and the South African National Parks Biodiversity and Social Programme.